Sadler’s Mill is a watermill in Romsey. 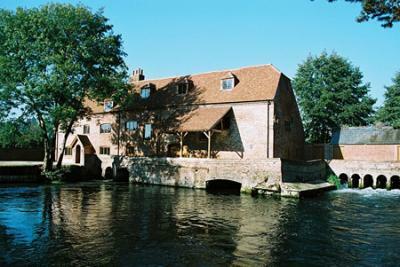 It is probably the best known of Romsey’s surviving mills and is apparently the only mill to be developed on the main course of the River Test. The existence of Sadler’s Mill is first recorded in the 16th century. It has has a succession of owners including Lord Palmerston between 1747 and 1777. This building of great historical interest is now protected by a BS9251 fire sprinkler system designed and installed by Triangle Fire Systems.